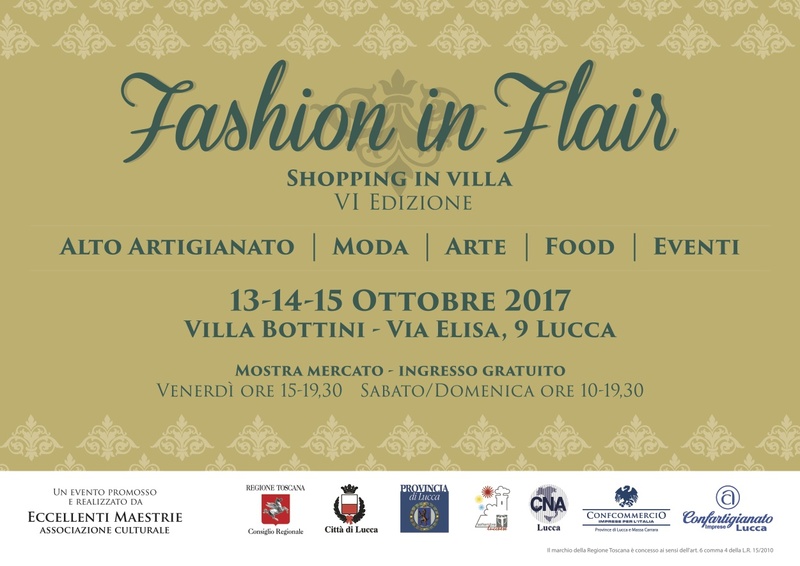 On the 13th toward the 15th of October the wonderful gardens of Villa Bottini in Lucca host the 6th edition of Fashion in Flair, the market fair dedicated to excellent handicraft and shopping Made in Italy. The fair is an opportunity to know and buy beautiful handiworks, to visit the Villa’s gardens and taste some Italian delicatessen. The artisans have the chance to meet their public while the handicraft lovers can find the right pieces. This year we are thrilled to visit Fashion in Flair! We are going to be in the panel of invited bloggers assigning the “Award Blogger for Flair” to the best exhibitor who win the attention for originality, craftsmanship and emotion. Don’t miss our live updates on Instagram and Facebook. 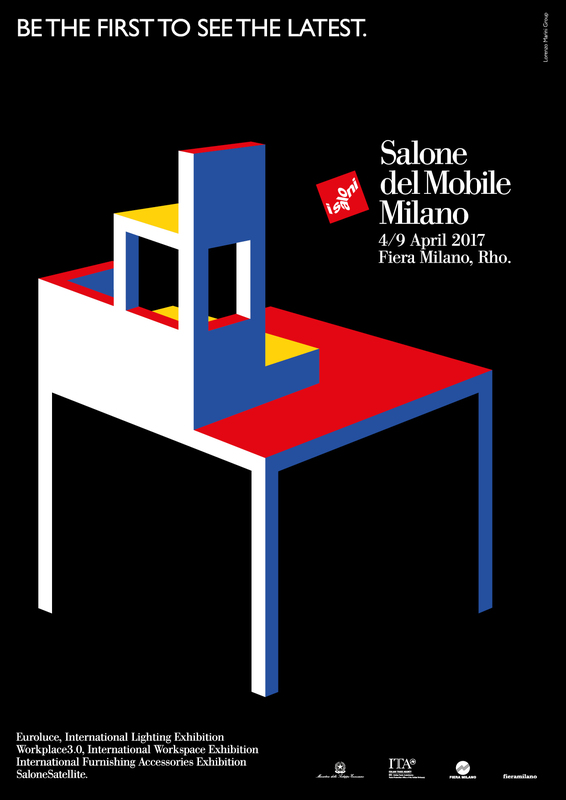 Right now in Milan the Design Week is taking place and we are looking forward to tell you more about our trip there. Great inspiration comes from visiting the fair, the 56th Salone del Mobile, but also from the many happenings around town for the Fuori Salone. Follow us on our Instagram and Facebook accounts with live updates. 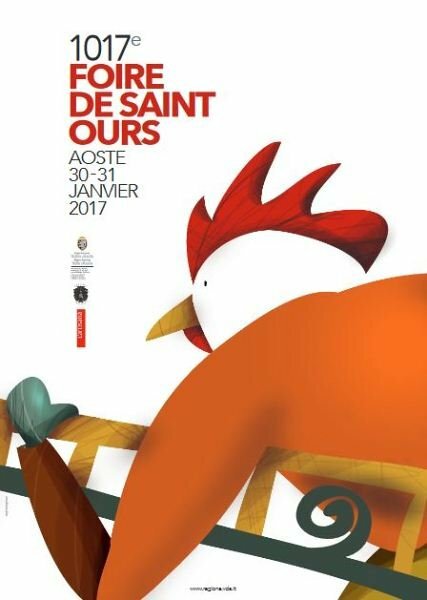 Every year the city of Aosta is home to the Saint Orso Fair dedicated to the Aosta Valley craft work. This year the fair is held on the 30th and 31st of January, with artisans coming from all over the region. The fair has a long tradition that dates back to 1000. Legend tells that all began in the area of Saint Orso Church. Just opposite the church, the Saint, who lived before the ninth century, used to distribute clothing and “sabot”, the traditional wooden clogs still sold at the Fair, to the poor. The favorite material is wood in all its forms, but there are also artisans of metals, ceramics and fabrics. Aosta is transformed and visitors are transported into a world of gestures handed down from generation to generation. Every year in the first week of December, the City of Milan celebrates craftsmen and their creations from more than twenty years. 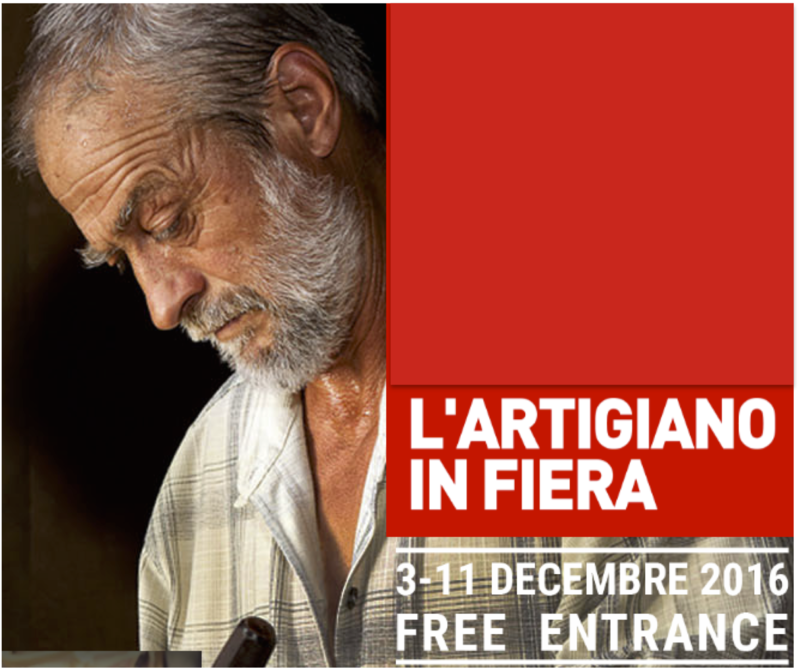 L’Artigiano in Fiera is the most important event in the world that shows the beauty and goodness of arts and trades. The program of the largest handicraft international event this year foresees many news: from music and folk dances to creativity courses. The fair will take place from 3rd till 11th December at Fieramilano Rho-Pero, every day from 10.00am until 10.30pm. In nine days, thousands of artisans from all continents will exhibit their unique, authentic and original products. The handicraft traditions will be protagonist of the event, as well as the ever innovation attitude of an increasing number of young people who decide to engage in the industry. The path between the talent and originality also unfold between the areas dedicated to fashion, creativity, furnishing. A layout subdivided into territories (Africa, America, Asia, Europe and all Italian regions) and themed halls (Home Living, Fashion&Design and Creative Passion). Here you can find the expert hands of artisans of wood, the passion of the masters of the handmade and ideas of young people demonstrate that the mix of tradition and innovation is the recipe to achieve excellence. Furthermore, the event promotes a human-oriented economy. The protagonists here are craftsmen, entering a network of relations among companies, which together with Ge.Fi. S.p.A., are seeking to launch a shared development model. 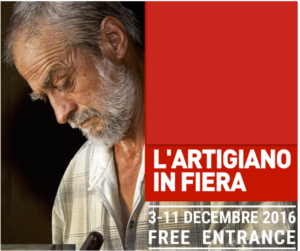 The Artisan Fair will promote, finally, the participation of enterprises from the regions victims of the recent earthquakes in the central Italy. As the last year, we are ready to take a look… Follow us on our Instagram and Facebook accounts with live updates! From 25 to November 27 2016, in Pistoia takes place the event Arts & Crafts, in the evocative and former industrial spaces of the so-called Cattedrale (Breda’s factories) just outside the ancient walls of town. Pistoia is at the centre of an area rich in tradition. In 2017 it will be the Capital of Italian Culture and with this event aims to showcase high-quality handicrafts. There will be plenty to see: from textile art to furnishings and design, to fashion clothing and accessories, from tableware to food design. Furthermore the event will be accompanied by an exhibition (Galleria dell’Artigianato Artistico della Toscana) of objects from over 60 atelier-workshops, symbols of Tuscan creativity and handicraft. There will be also many themed walks in the historic centre of Pistoia. Visitors will be invited to stroll right into “vie dei mestieri”, the tortuous streets around Piazza Duomo, one of the most fascinating squares of Italy. 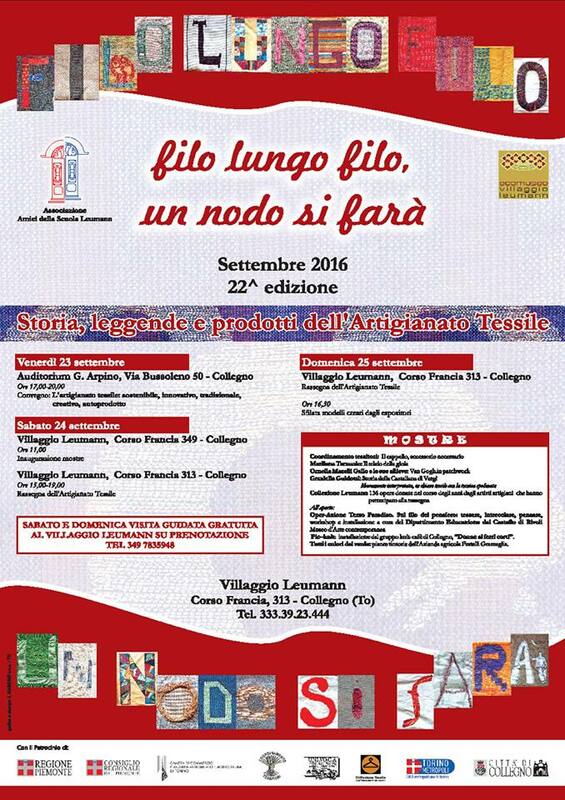 Friday, September 23rd 2016 the 22° Edition of the event Filo lungo Filo un nodo si farà opens at the Villaggio Leumann in Collegno just outside Turin, organized by Associazione Amici della Scuola Leumann in collaboration with the Coordinamento Tessitori, until 25th September. The fair is dedicated exclusively to the textile crafts and it is for all those who weave by hand so that they can show their products. It is also an important event for craftsmen and textile art scholars with its conferences, workshops and exhibitions. The place where the event is held has also a historical importance for Italian weaving. In the second half of the ‘800 a cotton mill was implanted in Collegno and the village was born and developed around the factory. In 1972 the mill closed, but today there is still its memory and the Association works to re-establish the link between work-weaving-village. An appointment that we’ll try not to miss, always looking for artisans to interview and visit. The 19th Festa della Ceramica at Nove in Veneto dedicated to artistic ceramic started yesterday till September 19th. Nove is located in an area rich of art and handicraft traditions and the event includes exhibitions, workshops, meetings and screenings. 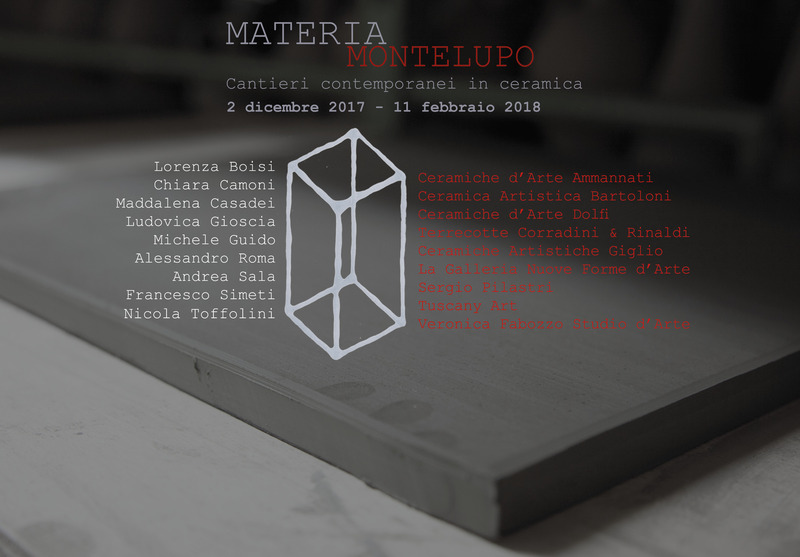 The awaited Portoni Aperti event will be held on the 10th and 11th September, with over 80 artisans and artists from around the world exhibiting their works, directly involving the audience in “making pottery”. 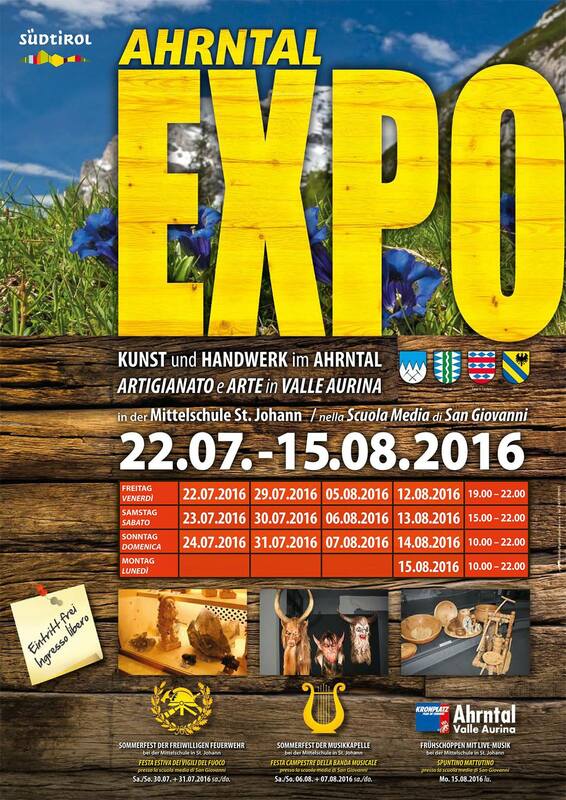 The 15th edition of the Expo dedicated to handicraft and art in the Aurina Valley has started and it is going on until the 15th of August 2016. The Aurina Valley is situated in South Tyrol close to the Italian border with Austria and it is part of the Kronplatz Dolomiten. It is a beautiful and green valley with a great offer of activities for visitors around all year. Moreover it has a long handicraft tradition from wood works to lace pillow and during the 2016 Expo it will be possible to see some artisans at work. We’ll be there soon and we’ll write a report full of images and interviews. The third edition of Les Journées Particulières will be held from 20th to 22nd of May, during which the Houses of the LVMH group will open their doors to visitors. In a European dimension, the Italian companies of the Group are included in an events program showing the link between modernity and tradition. We will visit some to write about the excellent savoir-faire, in Rome we’ll go to Fendi, Acqua di Parma and Bulgari. The visits are open to all those who register on Les Journées Particulières website.